By default, Renderman Studio renders particles as spheres even if their Display Type is set to Points. 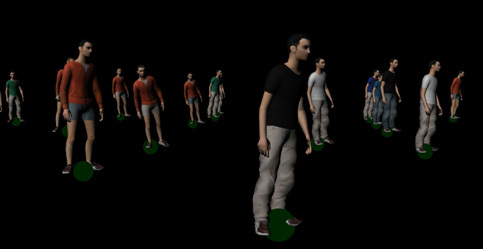 Thus, when rendering Crowd Entities, particles will be rendered as well. To hide particles at render time, you can hide an Camera Visibility Extra Renderman Attribute to them.